Windows 10 comes with Settings universal App where you can manage your computer settings. 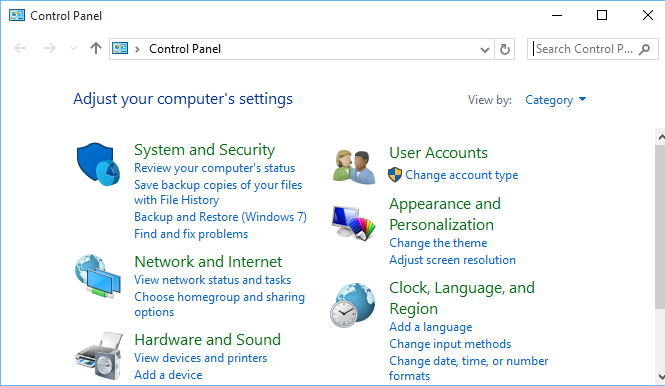 You can also manage your computer settings using Control Panel like in Windows 7 and Windows 8.1. 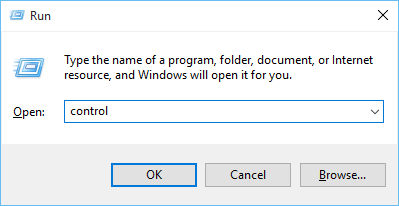 Use below steps to open Control panel in Windows 10. Type "Control Panel" in cortana search box and click on "Control Panel" in search results to open Control Panel. 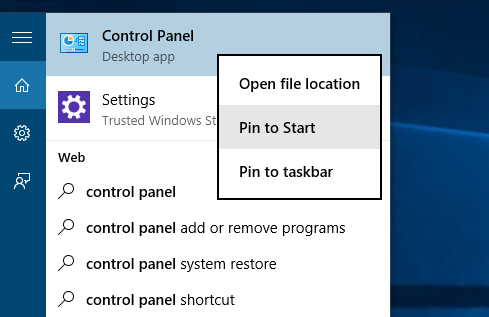 You can also Pin Control Panel to Start menu or taskbar by right clicking on "Control Panel" in cortana search results and selecting "Pin to start" or "Pin to taskbar" from context menu. 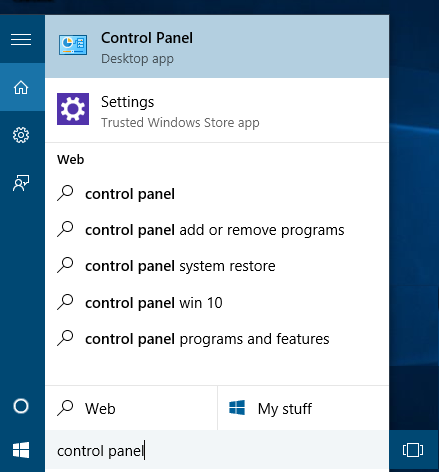 You can also open Control Panel from Windows Run App (Windows + R), by typing "control" in Run App and clicking OK.